~ Tell us about the story. Cosmic Inception is the 3rd book in the series Saving Caeorleia, so a lot of it is born of the stories that came before. The series originally started from a creative prompt on GayAuthors.org, but the “short story” was so popular it became the first chapter of The Experiment and just bloomed from there. Cosmic took me a LONG time to write, because I’m not great at more than one chapter per week, so there’s about a year gap between each book in the series. The best part of the story is that it’s set in the future and involves space travel and aliens, so my imagination can really just go wherever it wants, which is amazing freedom—but requires a ton of research and plotting. ~ How long have you been writing? I used to tell stories all the time, growing up, and reading is a lifelong passion. I didn’t start writing and sharing my fiction stories until 2009, though, but once I found GA and interacted with other authors and readers, the passion grew until it’s now something I do every day. ~ What is your favorite genre to write? To read? I’m a speculative fiction geek. Love sci-fi, paranormal, fantasy, anything that opens up my imagination. I will read just about anything though, and I’ve found that’s true with writing as well. Creativity flows better when I get to make stuff up, but I dabble with contemporary as well. ~ What is the last book you read? eBook was a re-read of Claimings, Tails, and Other Alien Artifacts (sci-fi, go figure, right? LOL) and a paper book was actually Writing Monsters: How to Craft Believably Terrifying Creatures to Improve Your Horror and Science Fiction. It has some fascinating insights into monsters versus villains. ~ What is the last movie you saw? The kids and I took my hubby to Warcraft on Father’s Day, but every Tuesday in summer I take my kids to Regal Cinema’s $1 Family fest events, so last week we saw Goosebumps. More speculative fiction… I’m sensing a theme! ~ What kind of music do you listen to? I’m very eclectic. In the car with the kids it’s either pop stations on satellite or they like Skillet. Country, though I’m a fan of older stuff from the 90s and 00s (yikes, that’s oldies now! *cries) Really, my “don’t listen to” list is smaller: rap and jazz. ~ Are we more likely to catch you reading a paperback book or on an e-reader? e-Reader nowadays. I got tendonitis in my thumbs that affected all the bones in my hand/wrists years ago, and my hands often ache even holding paperbacks. Plus, I have 2,300+ eBooks on my kindle… so many options, I always have something I’ll like no matter what mood I’m in. I do buy Outlander and Black Dagger Brotherhood books in print, though. ~ What is your idea of a perfect day? Rainy, for sure. I hate the sun (redhead) so I love a drizzly day where I can cuddle up with a blanket (I have the softest one, EVER, in king) and a hot drink along with a book or my computer to write. ~ What is your preference: coffee, tea, or soda? Definitely tea. I’m a snob, though, and prefer my loose leaf tea blends. I have tons of different chai varieties, but I also like dragon pearls which is a jasmine tea. Not a big fan of the fruity teas, though they’re not bad over ice on a hot day. ~ Last but not least, if you were stranded on a beautiful, sandy tropical island, what are the three things you can’t live without? An industrial-sized vat of SPF 10,000000+. Seriously, when I say I hate the sun, I mean it. My own personal merman to ogle, bring me tasty octopus to go with my pork and pineapple kabobs with coconut milk, and entertain me by helping me scuba dive in what is hopefully a very protected bay (no sharks or jellyfish!!) and last, but not least, a solar-powered kindle with every book ever written downloaded on it. 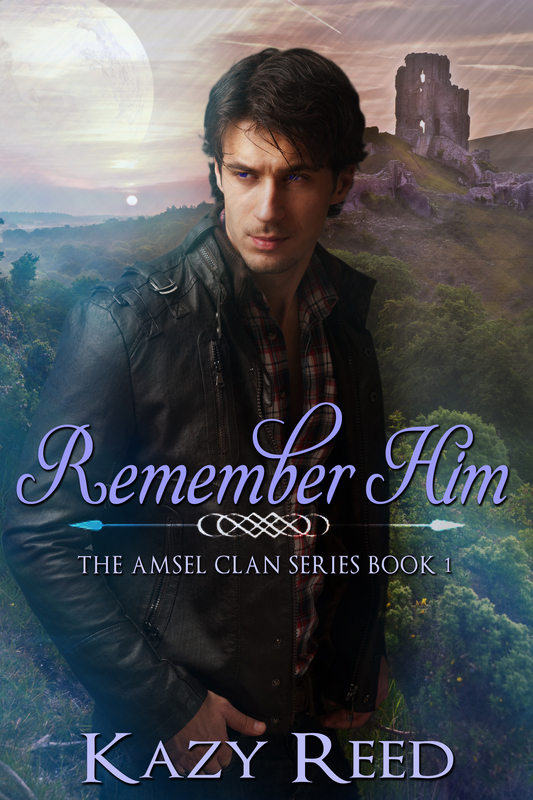 Please click here to check out my REMEMBER HIM page for more info on the blog tour. Will the bond of blood outweigh the passions of the heart? While sketching the Temple of Dendur, graduate student Carter Denwright meets—and is seduced by—a powerful vampire by the name of Alder. Once kept secret from the human world, now everyone knows of their existence. Blinded by mistaken feelings for Alder, Carter allows himself to be drawn into his life. Too late, he realizes two things: one, Alder is vicious and cruel, and two, Carter’s true love is Alder’s brother, Freyr. Freyr is not as strong as his brother, but he vows that he will find Carter again and will stop at nothing to get him back. Carter, caught in Alder’s cruel grip, commits an act of desperation which will change all their lives forever. The question is: can Freyr find Carter and is the bond between him and Carter enough to break Alder’s hold and spoil his plans to ruin them both? Freyr practically dragged me upstairs. I turned to go toward our room, but he went in the opposite direction.